Our real-time server tests are too complicated. In order to test our server, we need to set up multiple clients, have them send events, evaluate which events come back and when, all while carefully dealing with network race conditions. 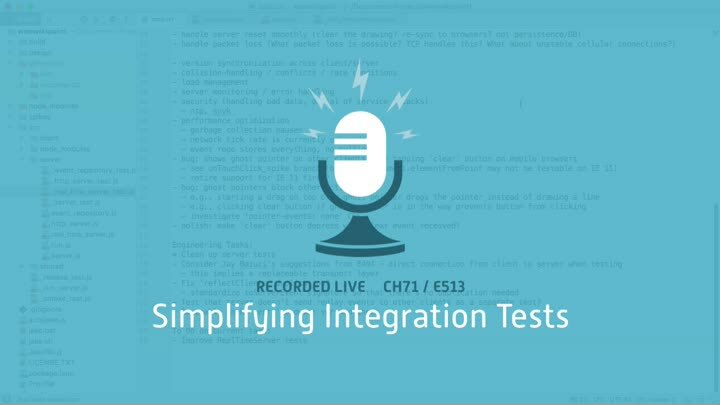 In this episode, we look at simplifying the tests with an in-process backchannel.